In the quiet North East corner of Arizona, nestled in the heartland of the Navajo Nation lies a beautiful rise of mountains called the Lukachukai range. Buffalo Pass sits atop this range at 8,400’. On the West side starting from the town that bears its name you will gently start up HWY N-13. Passing beautiful red cliffs the road twists and turns in a scenic panorama of sandstone cliffs and tall ponderosa pines. Climbing about 1,800 feet in approx. 6 miles you will find 15% switchbacks and gentle 6%-8% long hauls. At the top you will find a nice place for picnicking and a glorious view of the Red Valley to the East - location of the famed Shiprock. This is a wonderful high elevation treat rising high of the red desert that is Arizona. In the quiet North East corner of Arizona, nestled in the heartland of the Navajo Nation lies a beautiful rise of mountains called the Lukachukai range. Buffalo Pass sits atop this range at 8,400’. On the East starting in the Red Valley you will have a very gentle rise heading to the bluffs of Lukachukai East. Other than a couple of 10% switch turns, this side of the hill is a pleasant ride up two thousand feet over approx. 7 miles. Don't forget the picnic for the views at the top. In the quiet North East corner of Arizona, nestled in the heartland of the Navajo Nation lies a beautiful rise of mountains called the Lukachukai range. Buffalo Pass sits atop this range at 8,400’. On the West side starting from the town that bears its name you will gently start up HWY N-13. 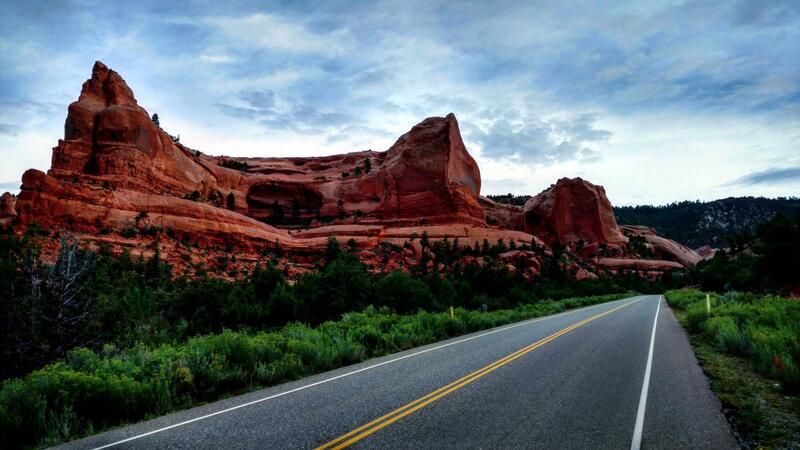 Passing beautiful red cliffs the road twists and turns in a scenic panorama of sandstone cliffs and tall ponderosa pines.